A study published in 2010 illustrated the benefits of meditation against cardiovascular and mental health benefits. This research shows yet again the importance of useful natural tools – like the Emotional Freedom Technique (EFT) – in addressing the emotional stressors that may be getting in the way of your health and wellness. The study followed close to 300 students, half of whom performed transcendental meditation 20 minutes once or twice every day over a three-month period. A subgroup of these meditation group participants who were at a higher risk of hypertension substantially lowered their blood pressure and psychological distress. They also bolstered their coping ability. In this group, the average reduction in blood pressure was linked to a 52 percent in the risk of developing hypertension in the future. Meditators who were not at increased hypertension risk saw reduced psychological distress, depression, and anxiety and increased coping ability as well. 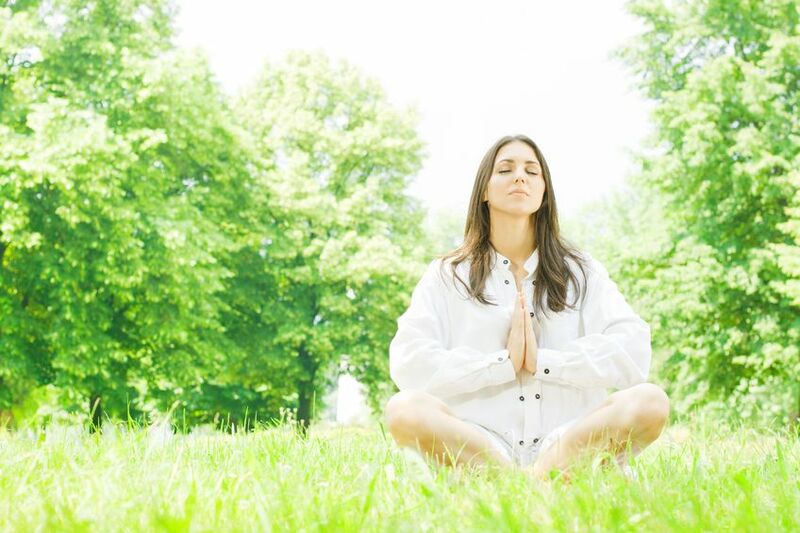 Manage Your Stress and Life Meditation, along with other effective relaxation tools like EFT, can make dramatic changes in your emotional health, along with your mental and physical condition. A calm mind and controlled emotions will help you better tackle all your usual responsibilities and the goals and targets you have set for yourself. You will be amazed at how energized and capable you become when your head is clear and your anxiety is minimized! Relaxation becomes even more important when you think of how every human illness is stress-related on some level. Think of stress management as a three-legged stool. One leg of the stool is proper nutrition, while the other is exercise. The third is meditation and other stress management tools such as EFT, which is akin to acupuncture yet uses no needles. Without all three legs, the stool will not be able to stand up. Just as important for you as the food you eat and how active you are is meditating, relaxing, and paying attention to your overall emotional health. Do you want to test your meditation wings? Sit quietly. Put on some soothing tunes, and close your eyes. Breathe rhythmically and focus: on your breathing, a flower, a nice image, a candle, a mantra, or even merely being in the moment. Direct your mind back to your focus point once it starts to wander, then continue from there. Set aside 15 to 20 minutes every day to practice meditation. Shorter segments may also be done, but try to work your way up to 20 minutes. The Emotional Freedom Technique (EFT) is another highly recommended natural tool for relaxation and optimizing emotional health. It is a psychological acupressure technique that may remove not only negative emotions, but also food cravings and pain. It may also help you implement positive goals. EFT is based on the same energy meridians used in traditional acupuncture to treat physical and emotional ailments for over 5,000 years. However, this practice is void of the invasiveness of needles. Instead, you simply tap with your fingertips to input kinetic energy onto specific meridians on your head and chest, while thinking about your specific problem – a trauma, pain, or addiction – and voice positive affirmations. Whether meditating or practicing EFT, make sure you make the practice a priority in your life. It is a big step to positively influencing both your physical health and mental well-being. Martha Benedict is a health and wellness blogger who also contributes to local Chicago publications. Having gone through the death of her husband and best friend, she actively sought ways to address her grief and emotional barriers and discovered the Emotional Freedom Technique (EFT).